Just like beekeeping, allotmenting came into my life with Chris. I think it was the third time we'd met when I went to see him on his allotment. Little did I know then! 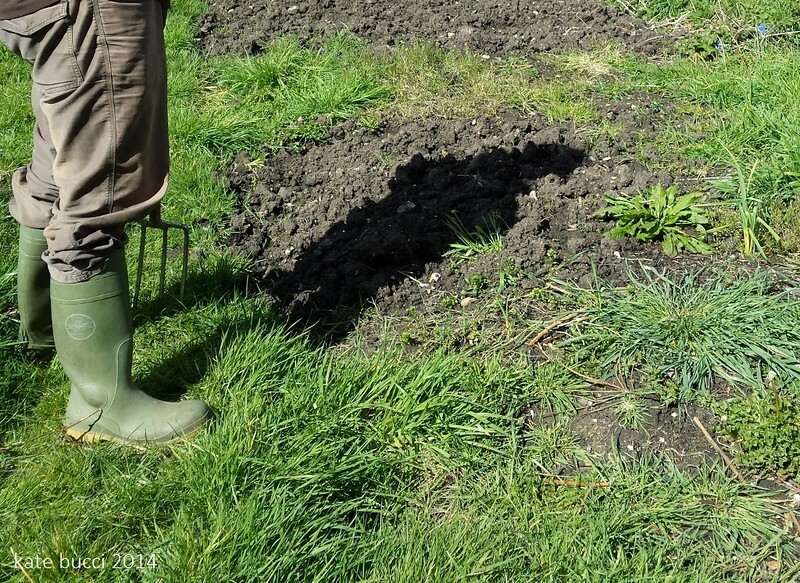 These days we tend the allotment together, as well as growing a small selection of vegetables at home. Last year was so busy that neither of us managed to do as much down here as we'd have liked, and the wet weather has certainly hampered our efforts so far. We managed to get out last weekend and start digging over one of the beds, and we decided to head down again today and make a bit more progress. After checking most of our hives last weekend, we were hoping to do some more today but the weather was too cold. The bees were out and about but there were showers of rain and hail that made us keep running for shelter. If the weather picks up again hopefully we'll be able to get some more checks done next weekend. 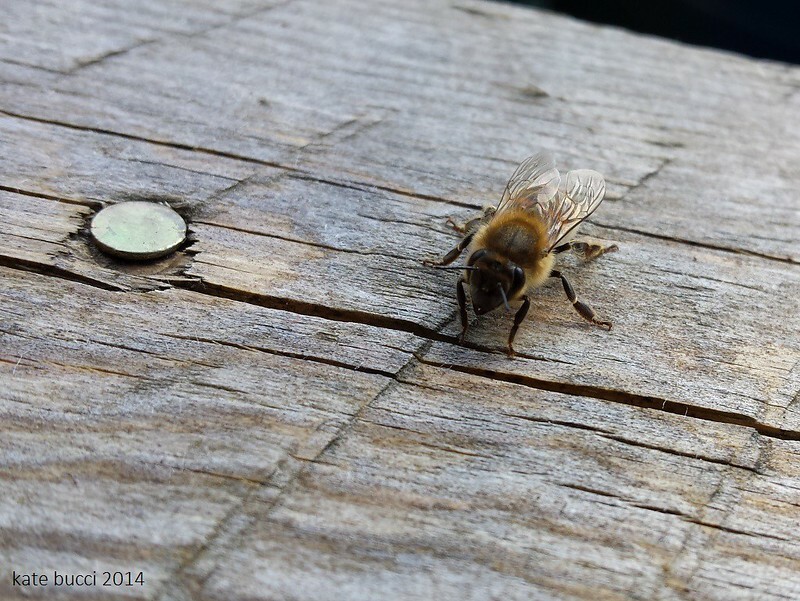 The bees are quite happy to come and see what we're doing, and often sit and rest in front of us. And of course I am quite happy to whip out the camera and take a few photos! 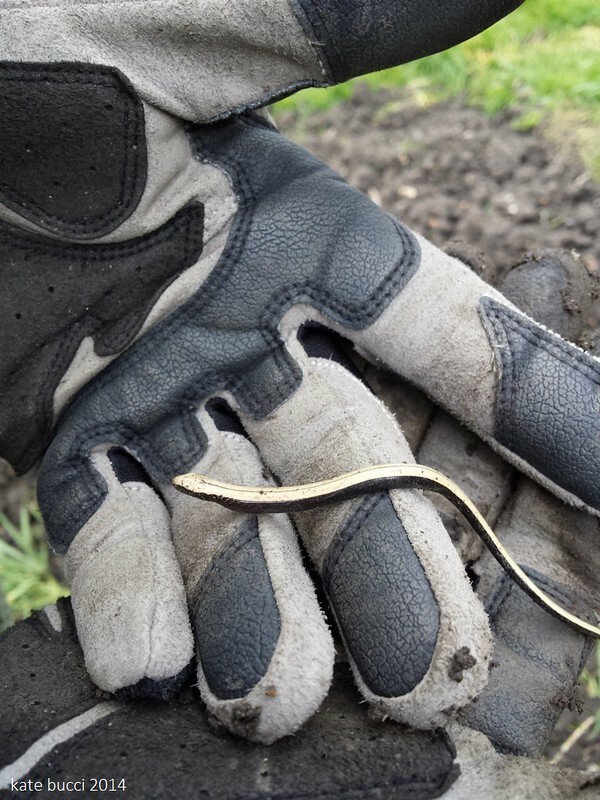 This little slow worm was hiding in some of the long grass. Chris rescued it and put it safely in the greenhouse. The allotment has two long beds and a bramble hedge down one side. Over last weekend and today, we have been digging over the beds on one side and reclaiming them from the grass that is trying to take them over, as well as chopping back the brambles. It's a brutal job, and at the moment everything looks quite brown and untidy. It's very satisfying, though, to see the spaces start to appear and the pile on the bonfire grow. 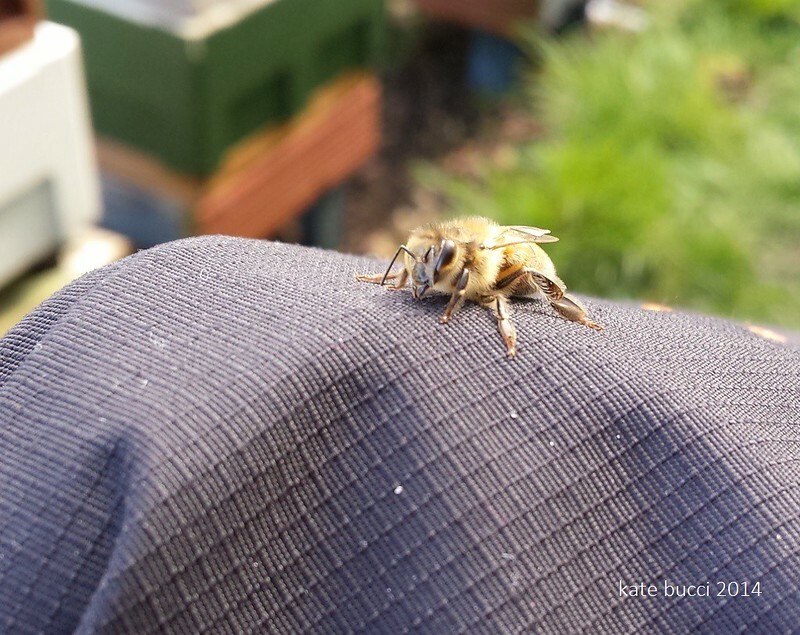 We're going to have to be realistic about what we can achieve this year, because work and bees already take up a lot of our time, but I'm hopeful that we can keep on top of things and grow some good crops. I'm learning to pace myself and take a lot of breaks for tea in the shed. 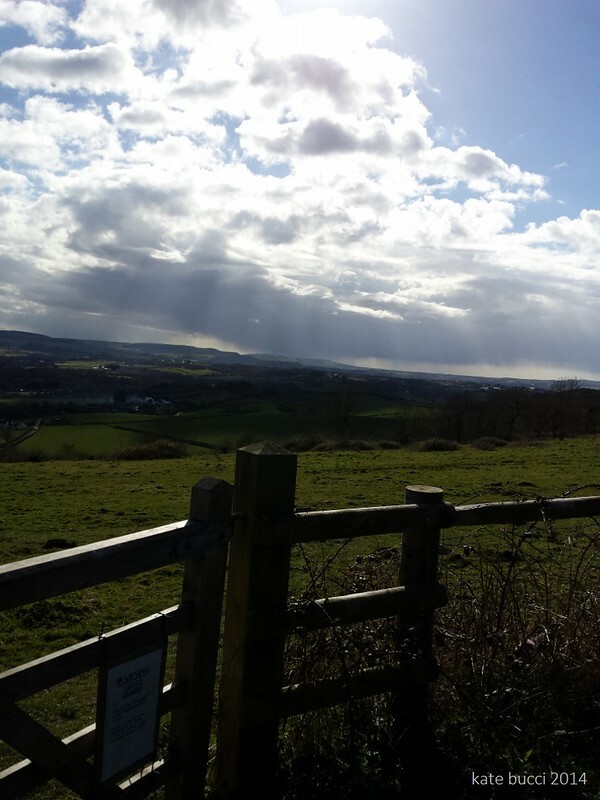 And after our work today we stopped for an ice cream and admired the view. What a lovely way to spend our Sunday.